Shares rose on Wednesday as investors hoped for progress on major tax reform in the United States, while the dollar hovered near one-month highs on growing expectations of a U.S. interest rate increase in December. The Trump administration and Republicans in Congress are due to outline a tax plan on Wednesday. If passed, it would be the first significant legislative victory for U.S. President Donald Trump since taking office in January. It would also be a win for Wall Street as corporate tax cuts would potentially boost company profits, while a tax amnesty on offshore cash holdings could fuel share values as well as demand for the dollar. Analysts said the U.S. tech space will be one to watch as it has mountains of cash that could be repatriated for share buybacks and dividends. Atlanta Fed chair Raphael Bostin also talked up the prospect of a December rate hike. The Federal Reserve needs to continue gradual rate hikes despite broad uncertainty about the path of inflation, Fed Chair Janet Yellen said on Tuesday in remarks that acknowledged the central bank’s struggles to forecast one of its key policy objectives. It is possible, Yellen said, that the Fed may have “misspecified” its models for inflation, and “misjudged” key facts like the underlying strength of the labor market and whether inflation expectations are as stable as they seem, and central bankers need to remain open to that possibility as they decide on policy. Still, recent low inflation was likely a reflection of factors that would fade over time and despite uncertainties, it “would be imprudent to keep monetary policy on hold until inflation is back to 2 percent,” Yellen said in a 37-page address to the National Association for Business Economics Yellen’s remarks attempt to resolve a debate that has split members of the central bank among those worried that inflation may be permanently anchored below the Fed’s 2 percent target because of structural changes in the global economy, and those who feel it is only a matter of time before tight labor markets lead wages and prices to rise. She did not provide a definite answer, noting that in current forecasts there was a 30 percent chance inflation could range anywhere from 1% to 3%, vastly different outcomes either of which could rewrite the Fed’s policy approach. But she did make clear the Fed still feels a gradual pace of rate hikes remains the base case. The dollar shot up then retreated after Yellen’s comments, reflecting uncertainty about her message. Treasury yields and stocks edged slightly higher. Yellen said Tuesday she would be looking at inflation and labor market data closely in coming months to assess the outlook, but “the data is noisy and it’s not going to be a magic bullet.” And while the timing of rate hikes may not be predictable, she said, “the path is likely to be gradual.” Yellen walked systematically through arguments that weak inflation reflected structural changes, and largely discounted them. There was not yet “empirical support” for the theory that global trade, worldwide supply chains, and other forces were holding down U.S. prices, she said. Meanwhile, the Fed calculates that cyclical slack in the labor market was now having a “negligible” impact on low inflation readings, compared to oil prices and other changes that will fade. And some aspects of the labor market that appear weak, such as the still-elevated number of part-time workers, may reflect permanent changes in the workforce, and not cyclical factors, Yellen said. Oil prices rose on Wednesday, with the Brent benchmark hovering near a 26-month high hit in the previous session, after U.S. oil inventories unexpectedly declined as refiners raised output and amid threats from Turkey to cut crude exports from Iraq. Oil prices have been supported by output curbs of 1.8 million bpd by the OPEC, and cuts by other major producers, although U.S. crude has lagged behind Brent amid concerns that U.S. production growth could stoke oversupply. U.S. crude stocks fell by 761,000 barrels last week as refineries boosted production, while gasoline inventories increased and distillate stocks fell, data from industry group American Petroleum Institute showed on Tuesday, in contrast with market expectations. Refinery crude runs rose by 1.3 million barrels per day, API data showed. U.S. crude inventories were seen rising for a fourth straight week, an extended Reuters poll showed on Tuesday. Crude oil production in Texas, one of the biggest producers of shale oil in the United States, in July fell less than 1 percent compared with a year ago, the state's energy regulator said on Tuesday. Any sign of faltering U.S. output could be seen as positive for prices amid growing global oil demand. Monroe Energy, a subsidiary of Delta Air Line, ran out of crude oil at its 185,000 bpd. Trainer, Pennsylvania, refinery amid shipping delays due to rough seas caused by Hurricanes Jose and Maria, according to a source familiar with the company's operations and Reuters shipping data. The U.S. EIA will release official government inventory data at 10:30 a.m. EDT. Turkish President Tayyip Erdogan on Tuesday repeated a threat to cut off the pipeline that carries 500,000-600,000 bpd of crude from northern Iraq to the Turkish port of Ceyhan in retaliation for an independence referendum in Iraqi Kurdistan. Gold on Tuesday made its intraday high of US$1313.54/oz and low of US$1292.06/oz. Gold was down by 0.076% at US$1293.61/oz. Based on the charts and explanations above; sell below 1300-1340 keeping stop loss closing above 1340 and targeting 1294-1288 and 1284-1276. Buy above 1294-1276 with risk below 1276, targeting 1300-1311-1319 and 1324-1330. Silver on Tuesday made its intraday high of US$17.23/oz and low of US$16.76/oz. Silver settled down by 1.984% at US$16.79/oz. Based on the charts and explanations above, buy above 16.80-15.65 targeting 17.00-17.30-17.70 and 18.00-18.35; stop breakage below 16.00. Sell below 17.00 -19.30 with stop loss above 19.30; targeting 16.80-16.50 and 16.00-15.60. Crude Oil on Monday made an intra‐day high of US$52.26/bbl, intraday low of US$50.37/bbl and settled up by 2.88% to close at US$52.11/bbl. Based on the charts and explanations above; sell below 52.50-54.40 with stop loss at 54.40; targeting and 52.00-51.50 and 50.10-49.60-49.20. Buy above 52.00-49.60 with risk daily closing below 49.60 and targeting 51.00-51.50 and 52.00-52.50. EUR/USD on Tuesday made an intraday low of US$1.1757/EUR, high of US$1.1860/EUR and settled the day down by 0.152% to close at US$1.1773/EUR. Based on the charts and explanations above; sell below 1.1890-1.2090 targeting 1.1825-1.1770 and 1.1700-1.1660 with stop-loss at daily closing above 1.2100. Buy above 1.1825-1.1600 with risk below 1.1600 targeting 1.1890-1.1950-1.1990 and 1.2050-1.2095. GBP/USD on Tuesday made an intra‐day low of US$1.3408/GBP, high of US$1.3513/GBP and settled the day by down by 0.379% to close at US$1.3456/GBP. On daily charts, prices are sustaining above 20DMA (1.306) is become major support level. 14-D RSI is currently in neutral region and direction is difficult to predict on RSI bases. The Stochastic Oscillator is in overbought territory and giving negative crossover to confirm bearish stance. MACD is below zero line and histograms are decreasing lead to downward movement. Based on the charts and explanations above; short positions below 1.3450-1.3770 with targets at 1.3400-1.3350 and 1.3270-1.3200. 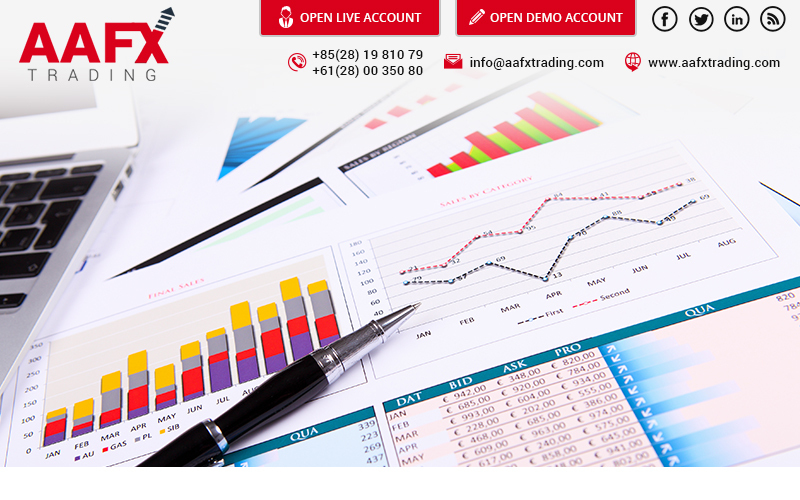 Buy above 1.3400-1.3300 with stop loss closing below 1.3200 targeting 1.3450-1.3500-1.3610 and 1.3700-1.3770. USD/JPY Tuesday to made intra‐day low of JPY111.49/USD and made an intraday high of JPY112.46/USD and settled the day up by 0.447% at JPY112.21/USD. Sell below 111.90-114.00 with risk above 114.00 targeting 111.50-111.0 and 110.35-109.50. Long positions above 111.90-113.60 with targets of 111.90-112.80 and 113.60-114.00 with stop below 109.00.